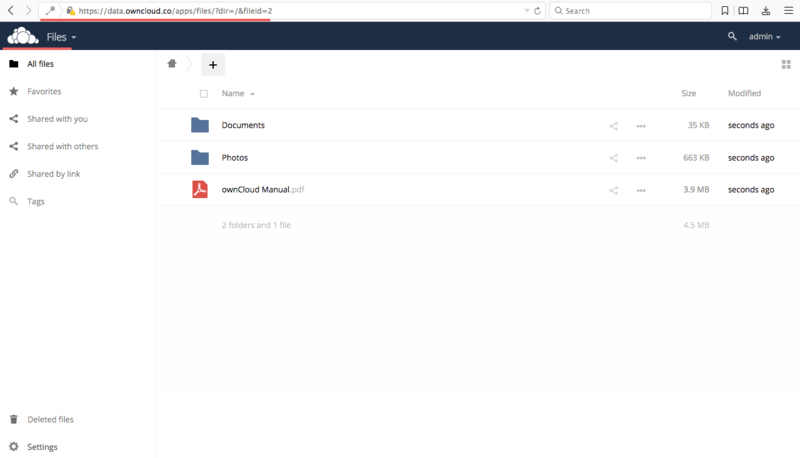 OwnCloud is a server software for data synchronization and file sharing with an easy to use web-based frontend that is available under an open source license. 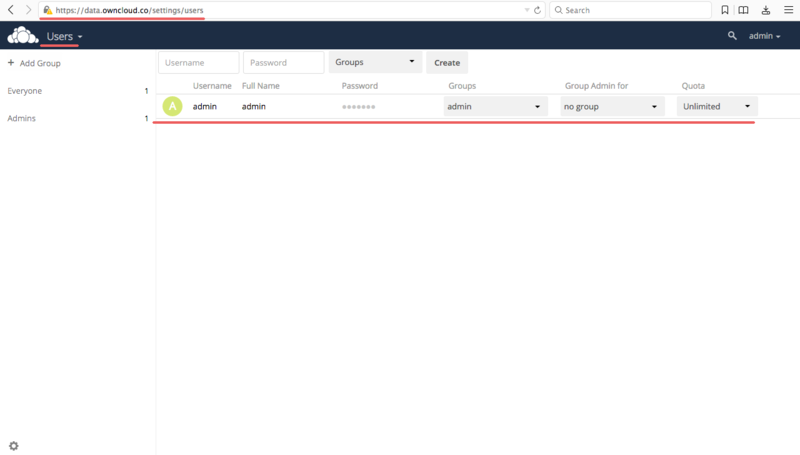 OwnCloud can be installed on a Linux or Windows web server, is easy to configure and has a comprehensive online documentation. The native client is available for Windows, MacOS and Linux (Desktop Application). There is also a mobile app for Android and iOS. In this tutorial, I will guide you to install and configure ownCloud 9.1 on a CentOS 7 server. I will show you how to configure ownCloud with Nginx and PHP 7 (as FPM) and MariaDB as the database system. Before we start with the Nginx and php7-fpm installation, we have to add the EPEL repository which contains additional software that is not available from the CentOS base repository. Install EPEL with this yum command. Now install Nginx from the Epel repository. Now we have to add another repository for php7-fpm. There are several repositories for PHP 7 available on the net, I will use the webtatic repository here. Next, install PHP7-FPM with some additional packages for the ownCloud installation. Check the PHP version from server terminal to ensure that the installation succeeded. In this step, we will configure php-fpm to run with nginx. Php7-fpm will run under the user nginx and listen on port 9000. Edit the default php7-fpm configuration with vim. In line 8 and 10, change user and group to 'nginx'. In line 22, make sure php-fpm is running under server port 9000. Uncomment the lines 366-370 for the php-fpm system environment variables. Next, create a new directory for the session path in the '/var/lib/' directory, and change the owner to the 'nginx' user. Start php-fpm and nginx, then add it to start at boot time. OwnCloud supports PostgreSQL and MySQL databases, in this tutorial, we will use MariaDB for the ownCloud database. Install the mariadb-server package from the CentOS repository with the yum command. 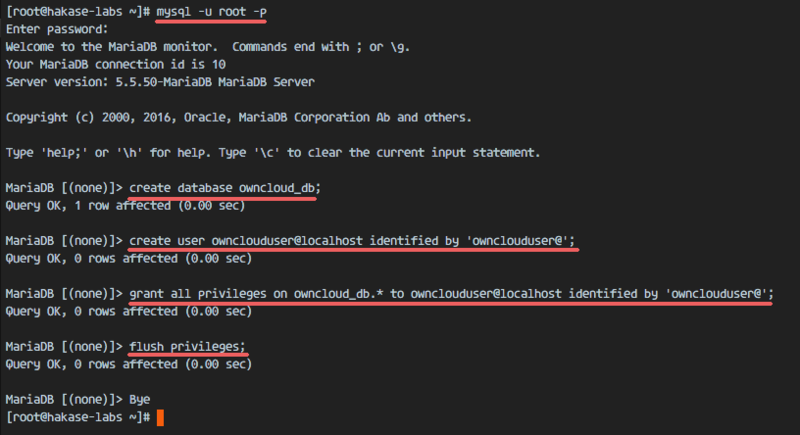 Start the MariaDB service and configure the MariaDB root password. Type in your root password when requested. 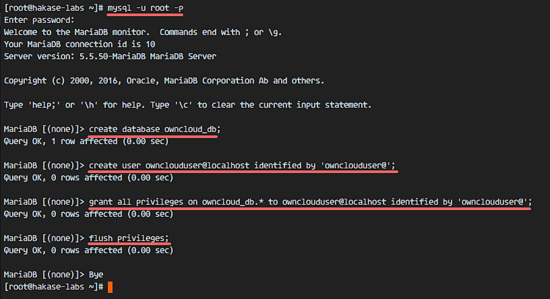 We will create a new database 'owncloud_db' under the user 'ownclouduser' with password '[email protected]'. Please chose a different and secure password for your installation! Type the MySQL query below to create a new database and a new user. 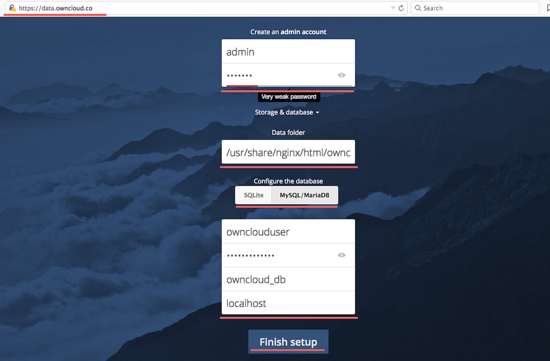 The 'owncloud_db database' with user 'ownclouduser' have been created. 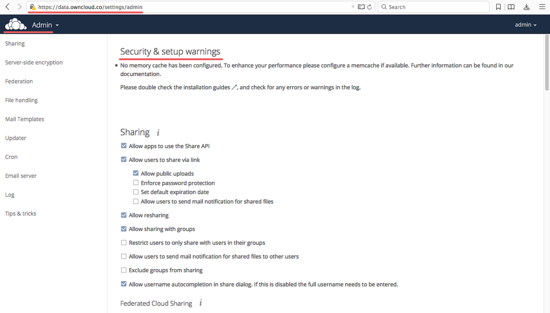 In this tutorial, we will run owncloud under a https connection for the client. You can use a free SSL cert such as let's encrypt. In this tutorial, I will create my own SSL certificate file with the OpenSSL command. Create a new directory for the SSL file. Then generate a new SSL certificate file with the OpenSSL command below. Enter the details for the SSL certificate as requested by the OpenSSL command. Then change the permission of all certificate files to 600 with chmod. We will download ownCloud with the wget command, so we need to install the wget package first. Additionally, we need the package unzip. Go to the tmp directory and download the latest stable ownCloud 9.1 from the ownCloud site with wget. Extract the ownCloud zip file and move it to the '/usr/share/nginx/html/' directory. Next, go to the nginx web root directory and create a new 'data' directory for owncloud. Change the owner of the 'owncloud' directory to the 'nginx' user and group. On step 5, we've downloaded the ownCloud source code and configured it to run under the Nginx web server. But we still need to configure the virtual host for ownCloud. Create a new virtual host configuration file 'owncloud.conf' in the 'conf.d' directory. 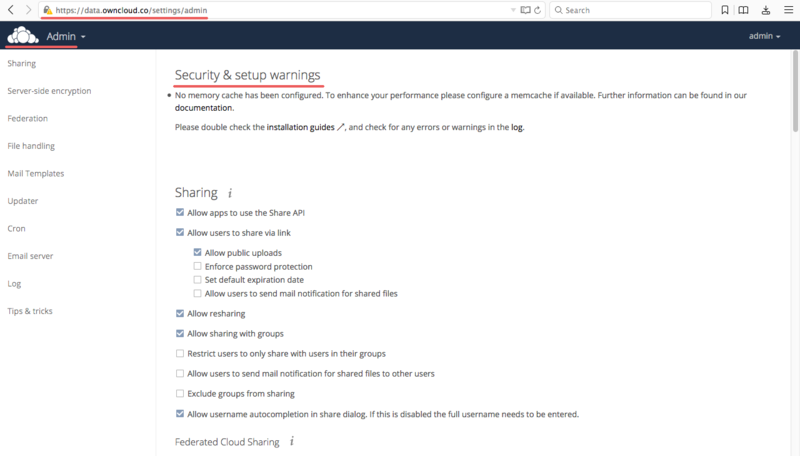 Paste the ownCloud virtual host configuration below. Finally, test the Nginx configuration and make sure there is no error, then restart the service. In this tutorial, we will leave SELinux on in enforcing mode, so we need the SELinux management tools package to configure it. Install SELinux management tools with this yum command. Then execute the commands below as root to allow ownCloud to run under SELinux. Remember to change the ownCloud directory in case yu use a different directory for the ownCloud installation. Next, enable the firewalld service and open the HTTP and HTTPS port for owncloud. Start firewalld and configure it to start at boot time. Open the HTTP and HTTPS ports with the firewall-cmd command, then reload the firewall. The server configuration part is finished. 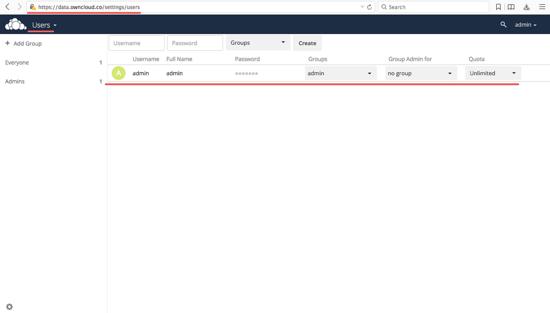 Now open your web browser and type in the ownCloud domain name into the URL field, mine is: data.owncloud.co, and you will be redirected to the secure HTTPS connection. Type in your new admin username and password, then type in the database credentials and click on 'Finish Setup'. 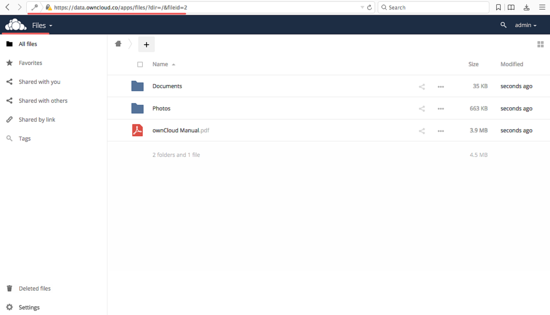 Owncloud has been successfully installed with Nginx, PHP7-FPM, and MariaDB on a CentOS 7 Server. We have tutorials for Nextcloud already in the queue and will publish them soon. Let'sencrypt certs can only be used when you have an external domain name that exists in DNS at the time you create the cert and your server must be reachable from the internet as letsencrypt tries to contact your server on port 80 on the domain name before it issues the ssl cert. So you can not use that e.g. in company networks where you are working with a local domain name or where access from the internet to this server on port 80 is not permitted. Don't forget to systemctl enable mariadb, if not you've got a blank page after restart. How to enabled SElinux ? I try in /etc/selinux/config change mode, but nothing change. Any help, How to fix ? ValueError: SELinux policy is not managed or store cannot be accessed.